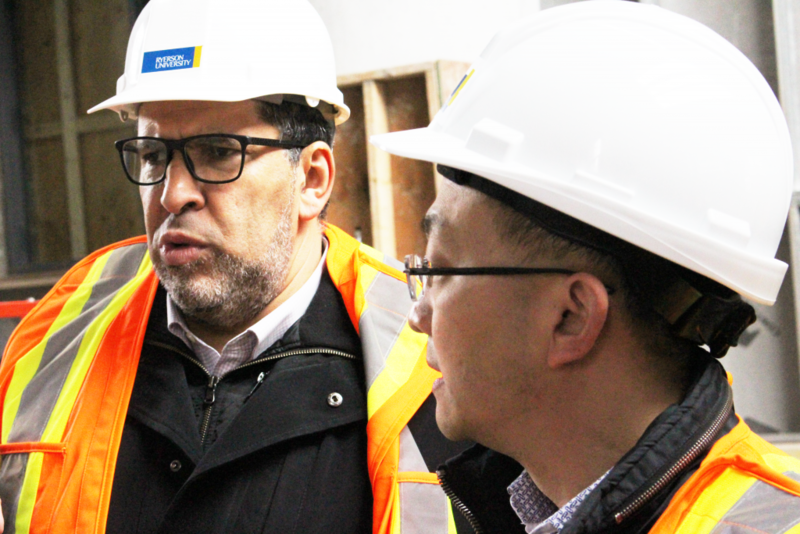 Ryerson president Mohamed Lachemi, wearing a hard hat and safety vest, looked around at the unfinished lecture hall inside the new Daphne Cockwell Health Sciences Complex that’s planned to fit 200 students. 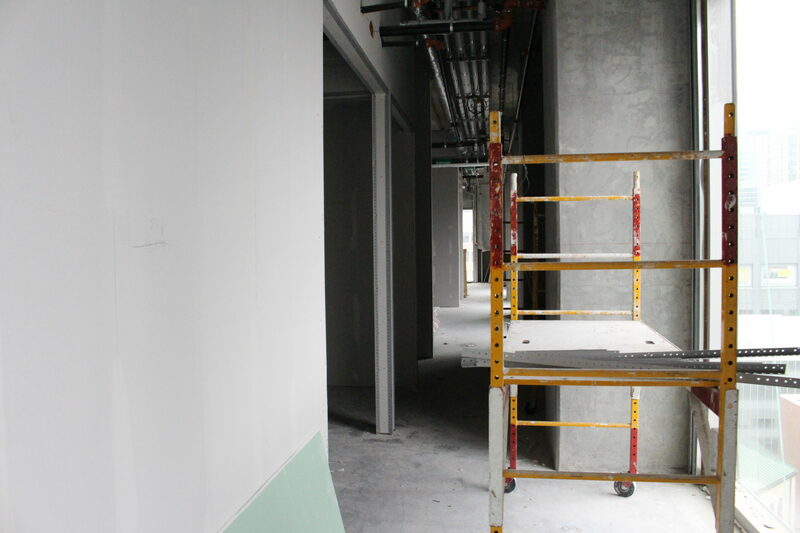 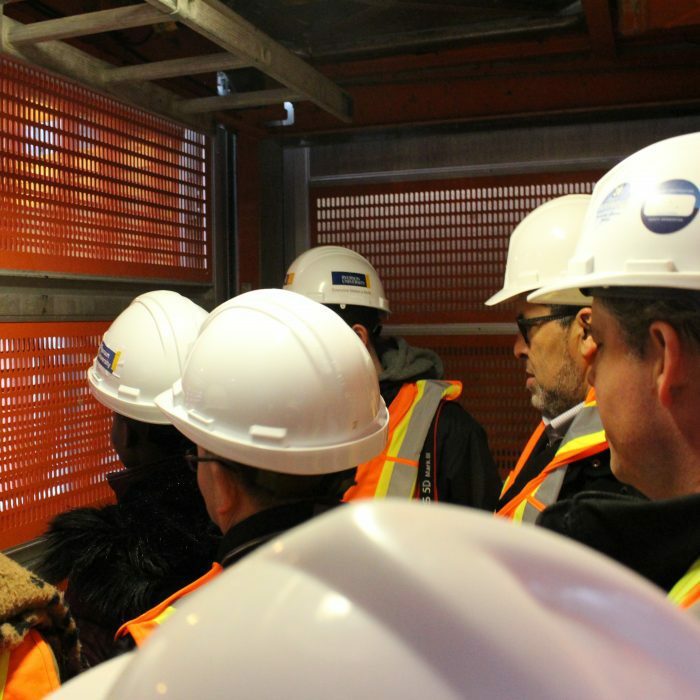 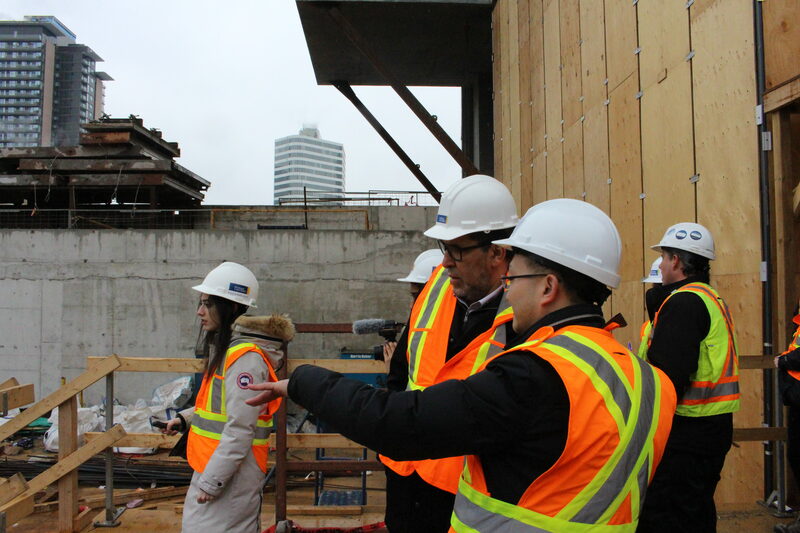 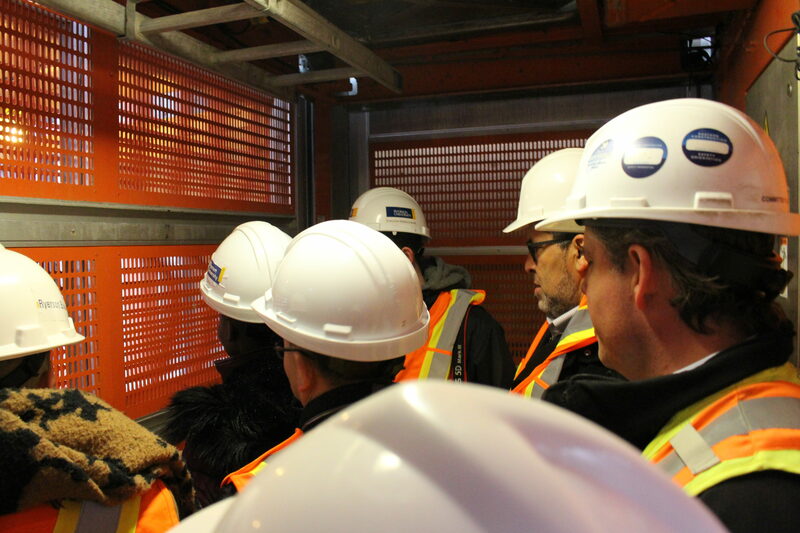 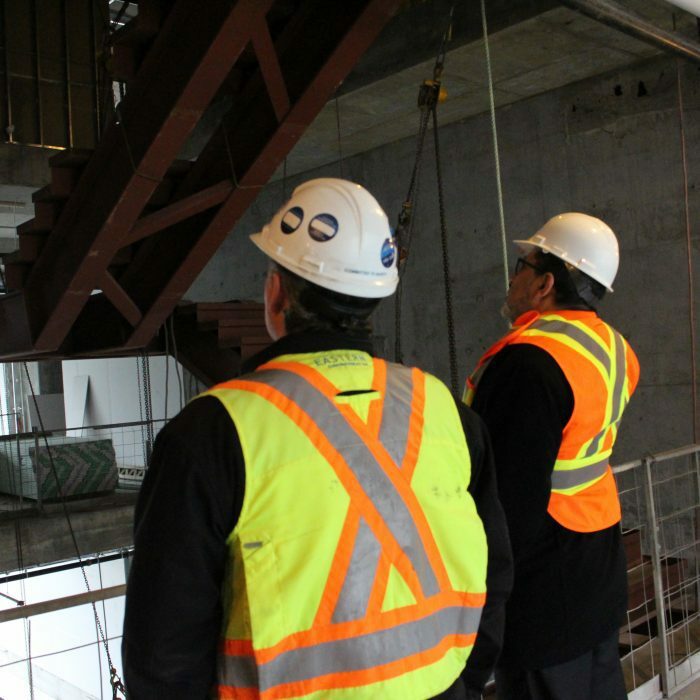 Last Friday, Ryerson’s Facilities and Management Development (FMD) hosted a tour of the construction site for the new Daphne Cockwell Health Sciences Complex at 288 Church St. 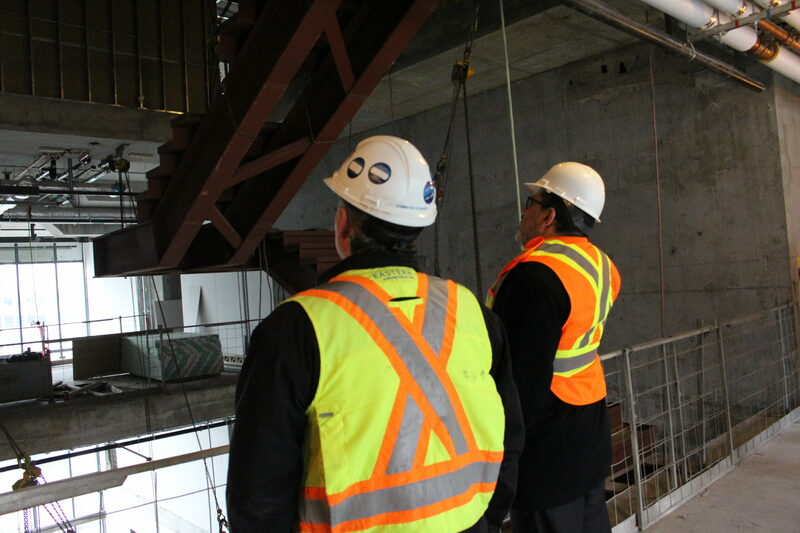 The completed building will have 33 floors, eight of which will be for students in health science programs – including nursing, midwifery, nutrition, and occupational and public health. 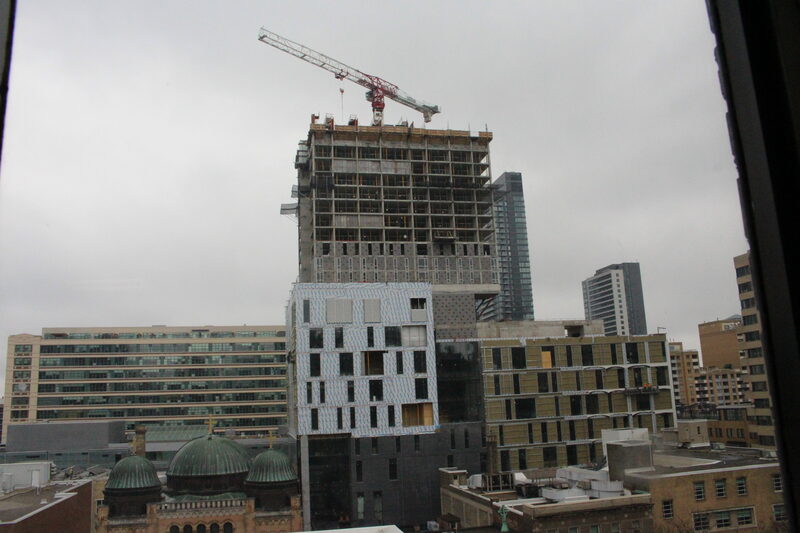 Construction for the building began in November 2015. 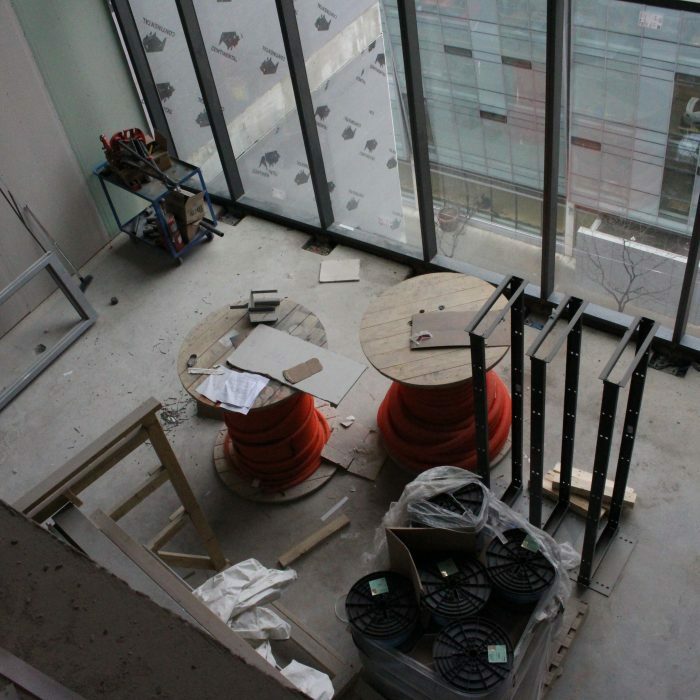 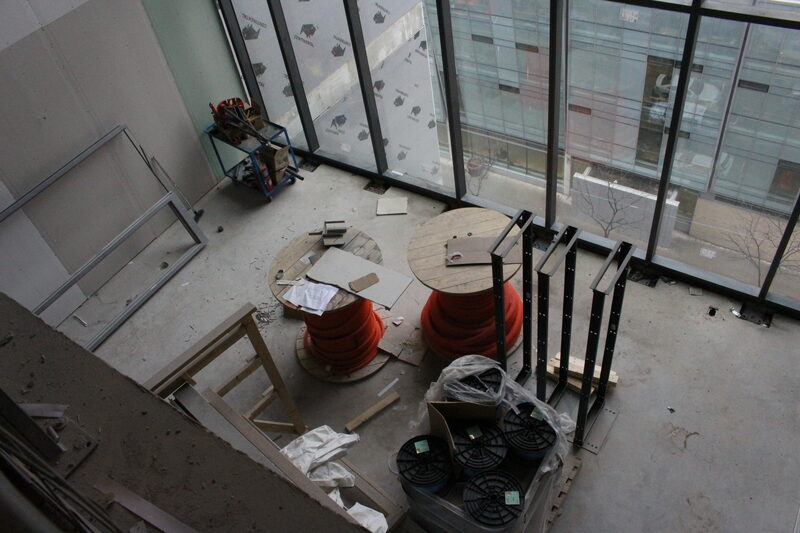 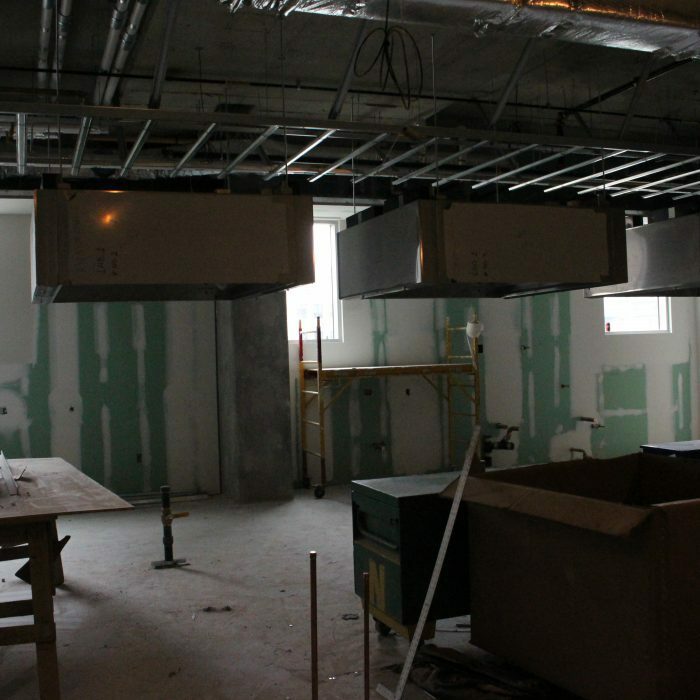 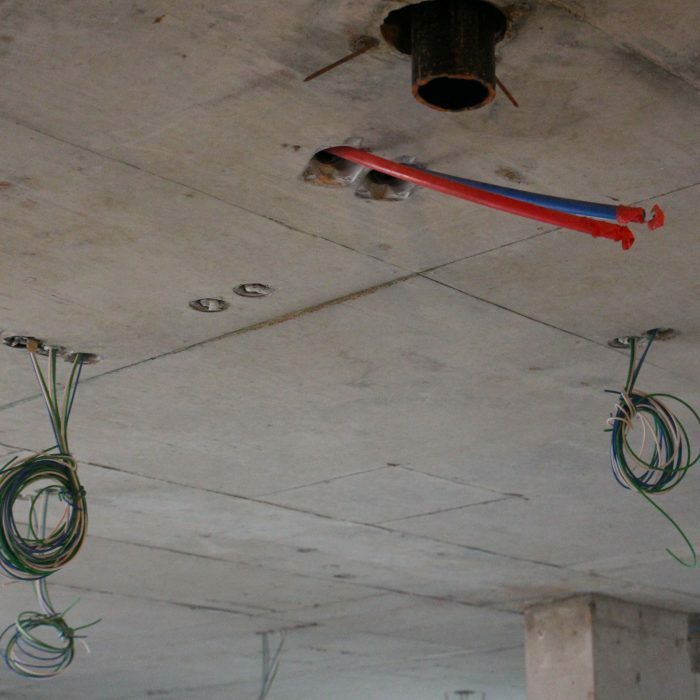 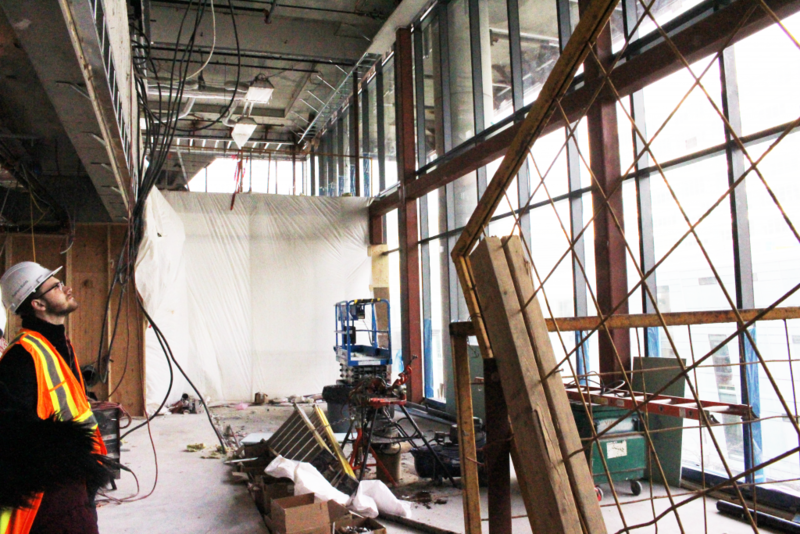 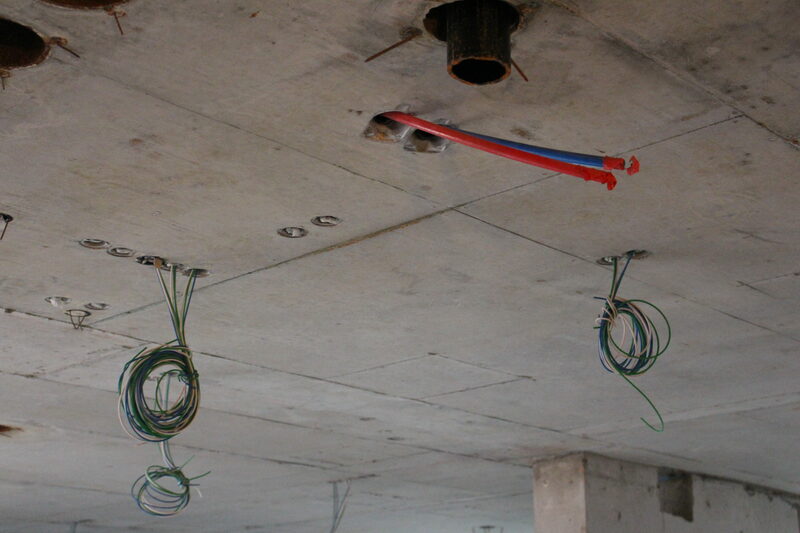 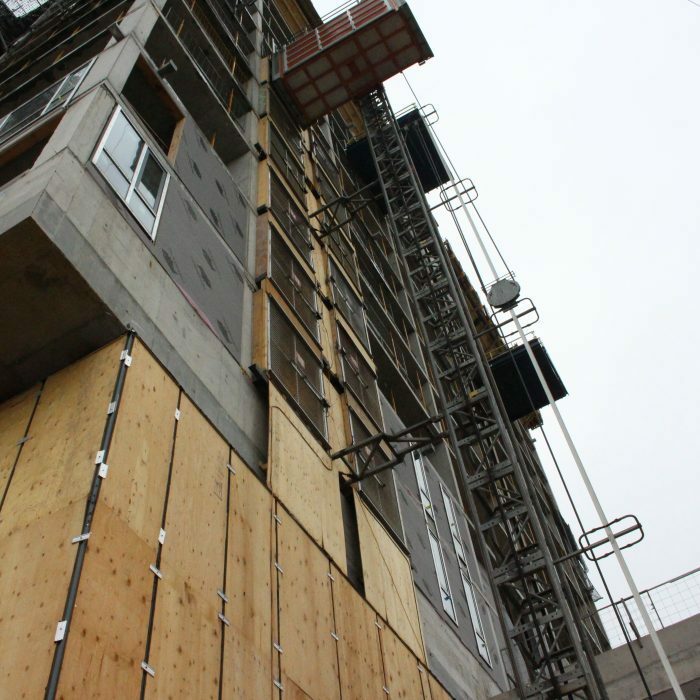 Earlier this year the Ryersonian reported that construction had been delayed. 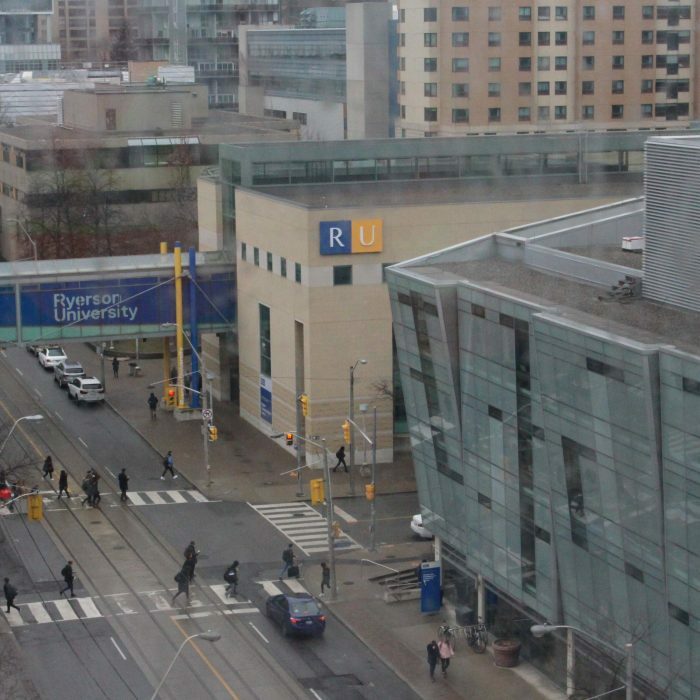 Nicole Bennett, director of the midwifery program at Ryerson, spoke to the Ryersonian Friday while cleaning her office in preparation for the move to the new building. 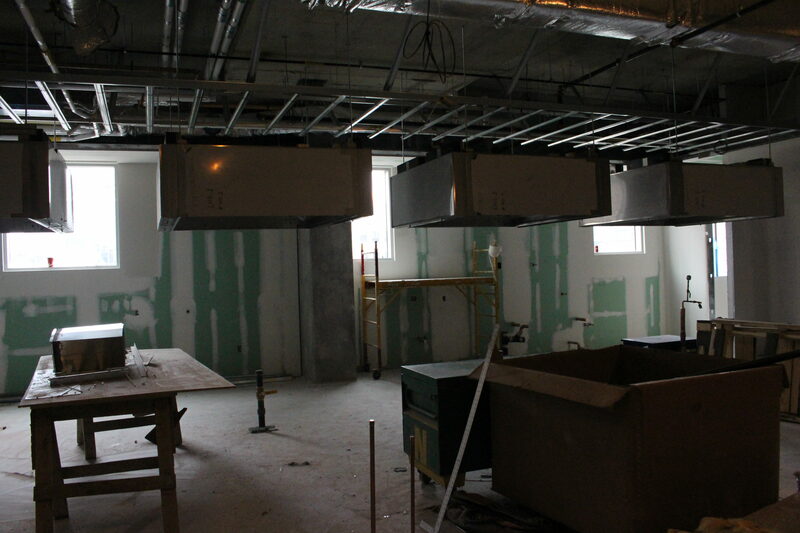 Her department is looking forward to the move in August. 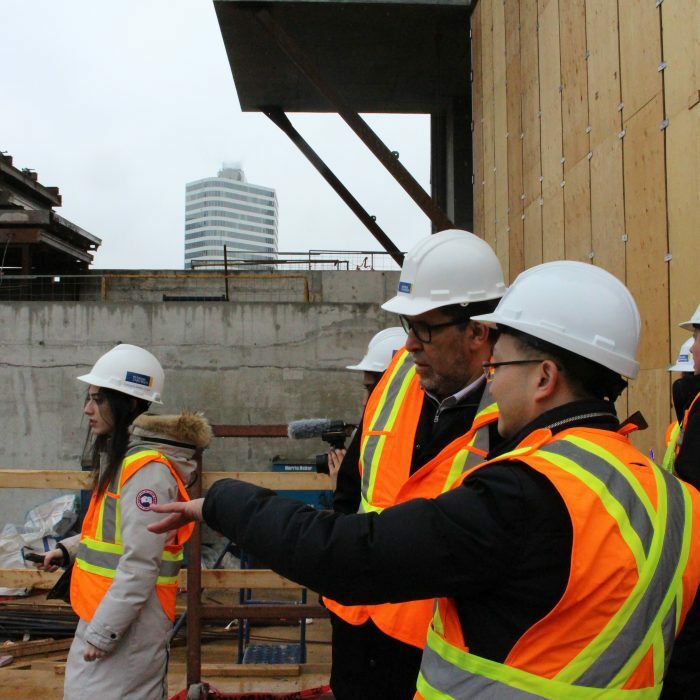 The total cost of construction is $84 million – of which $56 million is being funded by the Ontario Ministry of Education, according to Paul Chung, the project manager with FMD. 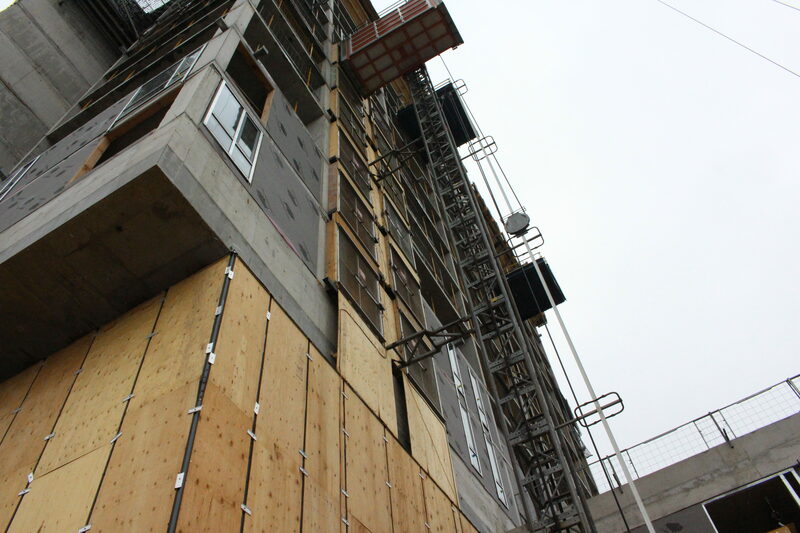 The estimated completion date for the first eight floors is summer 2018. 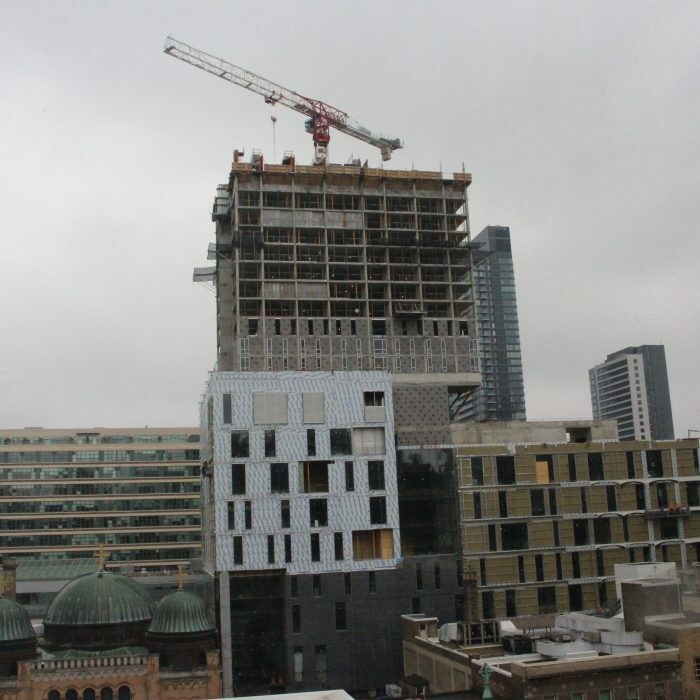 Following this, the 18-floor residential tower is expected to be completed in January 2019. 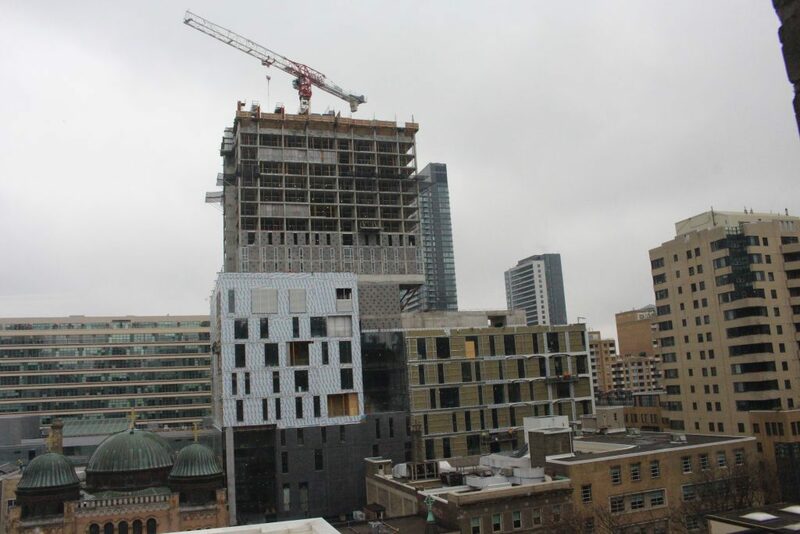 The residential tower will have 100 units and space for 332 students, but is not expected to accommodate its first full group of students until the summer of 2019. 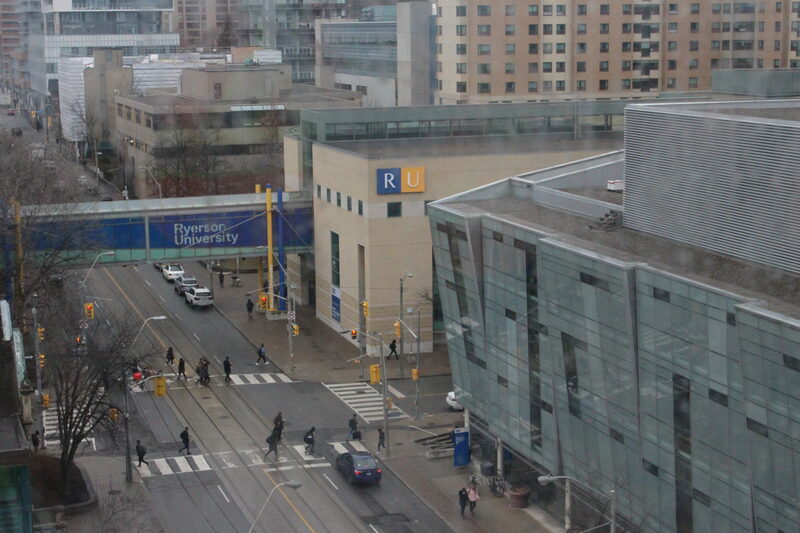 The complex and the School of Nursing are named after Daphne Cockwell, a nurse and mother of university donor and member of Ryerson’s board of governors Jack Cockwell. 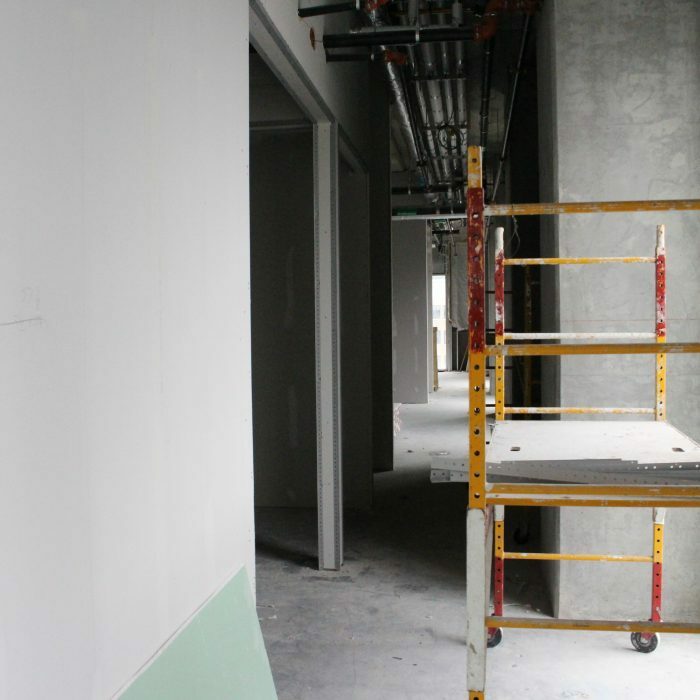 Cockwell’s donations to the school currently exceed $28 million, according to the university’s director of development communications.